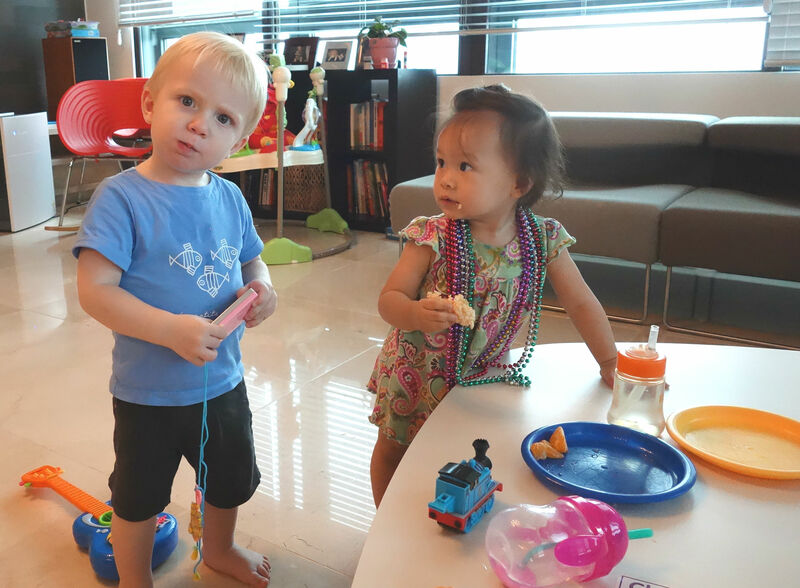 We hosted a play date this week for one of big sister Eva’s Pre-K 4 pals, Felix. Felix has a two-year-old brother named Maxim. Both boys speak French, as they have a Belgian mom and a German dad. Isabel was mesmerized by young Maxim. Maxim is a silly, sweet boy.